Congrats on the S54 engine. Small update! S54 has been purchased! I probably won’t have time for a lot of updates here. This likely won’t be a quick swap. I’ll update when big things happen though! For those of you that have done this before, any advice on things I should do before the engine goes in? Rod bearings, vanos, gaskets, etc are all on the list already but anything that isn’t so obvious? Engine is from a 2003 M3 convertible SMG with 116k. awesome. and since your car is a 2005... you have only 1 wire to change/address in the harness to make this swap work (if i remembering correctly). you can use your existing trans, too. this should be fairly easy. Thank you! I didn’t even think about the washer bottle. I haven’t addressed the cooling system yet either. Maybe I should grab the M3 expansion tank and new in box radiator. I have turner subframe reinforcement plates ready to go also. i forgot about the cooling system - LOL. good call. nice on the rear end, and the driveshaft! you'll need the latter to make that work. as for the TMS plates - skip. you need a proper solution otherwise don't even bother. sorry to sound harsh, but.... that's the reality of it! No problem! What do you suggest? i went with the VinceBar and VinceSkinz epoxy + rivet-on kits as they were the only correct solution, in my mind, when i built my Touring. plus they have the added benefit of being totally hidden, so you don't lose any interior space functionality. i have a welder and could have gone with vince's weld-in kit, but he thinks the epoxy and rivet-on kit is actually stronger than the weld-in kit. plus - way easier to install. I don’t have a welder or know how to weld so that’s good news. Finding someone to come to my cold garage and weld on their back was going to be hard anyway. I’ll look into the epoxy and rivet kit, thanks for the heads up! i did it all on my back in my cold garage as well. Small update - Disassembled the S54 and removed the rod bearings. They were pretty worn. I’m glad I decided to do it. They have 116k miles on them. I don’t know if they are original or if they were replaced under a the recall. I ordered just about every gasket, seal and sensor for the S54 so I’ll start putting it back together in a few days. The plan is to start removing the M54 and rear subframe one of these weekends that isn’t below freezing. I have new subframe and differential bushings coming along with new diff fluid. I’m thinking I should have the rear calipers powder-coated to match my front brakes. For those in Minneapolis/Saint Paul, the shop is called Recycle BMWs and they part out a ton of E46s. 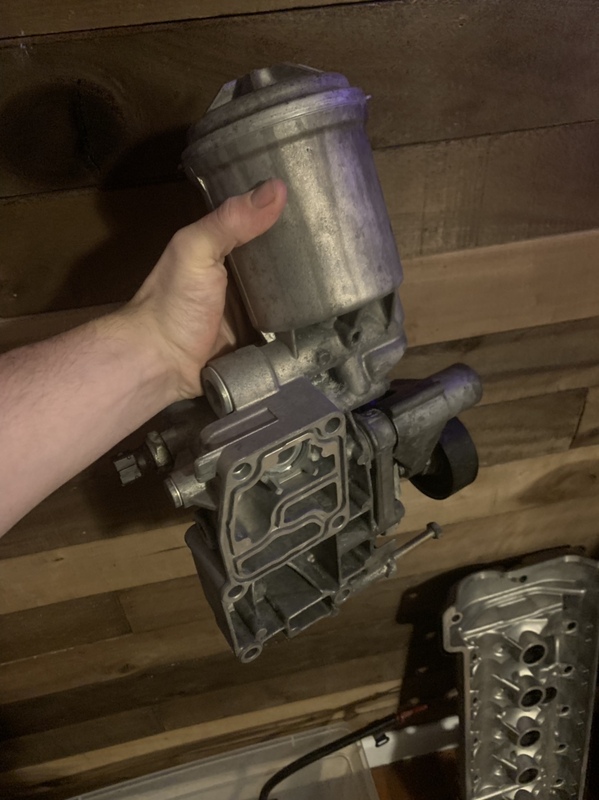 They even have a few parts left over from an imola/natural brown 6 speed ZHP. After 7 weeks of ownership.